Black Hawk is a family owned and run business that combines extensive pet industry knowledge along with a passion for creating affordable quality food. 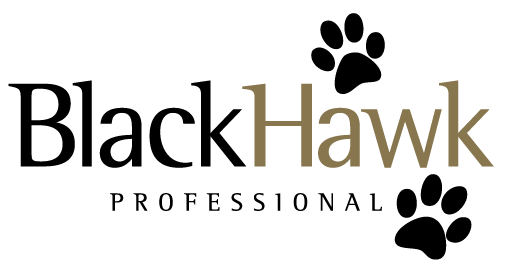 The owners of Black Hawk have over 30 years combined pet industry knowledge and understanding of the pet food market, both here and overseas. For more information regarding their range of super premium foods, please visit BlackHawk Pet Foods for ingredients and products. 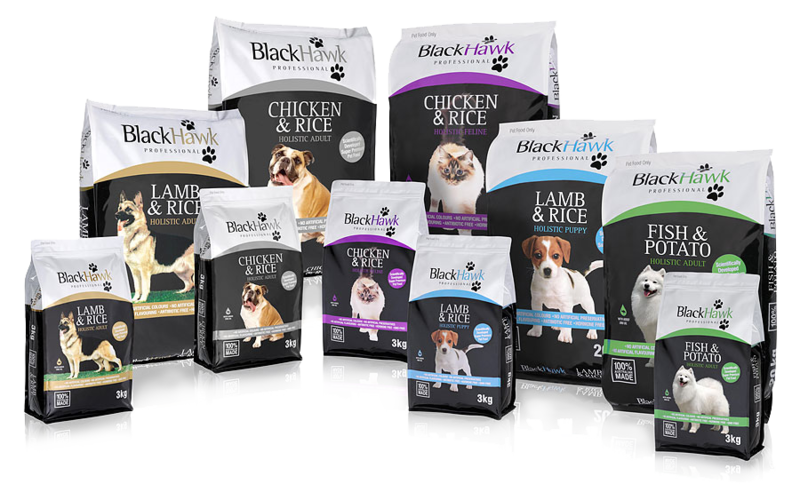 Black Hawk was first embraced by the breeding world and quickly moved into the retail sector due to the positive results pet owners were seeing in the condition and health of their pets. Many owners have sent wonderful testimonials regarding the improved health of their pets, ranging from skin conditions to mobility and digestive issues. Many pet foods claim to be complete, balanced, premium and nutritious. All it takes is a quick glance at the ingredient list to know this may not be the case, and many of the benefits claimed on the pack, may not match the main ingredients listed. Black Hawk Professional takes this matter very seriously and ensures all their pet foods are not only complete and balanced, but highly nutritious as well. They use quality ingredients from human grade suppliers to ensure your pet has the best diet at an affordable price. You can view a list of ingredients used in Black Hawk Professional formulas on their website.